In a statement issued yesterday the bank said it will end its ‘Introducer’ payments program, effective October 1 this year. “This means NAB will no longer make referral payments to introducers,“ the bank said. These fees are paid to groups in particular (such as sporting organisations) who send business (especially for home loans) the NAB’s way. It’s a payment for a third party for what could be construed financial advice. It’s all about refurbishing the NAB’s image, which took a hammering in the royal commission and its final report. NAB’s move will pressure on the other banks to follow in ending commissions to these third parties (which also can include members of the public or even family members). And these are not small amounts. According to the royal commission NAB paid out $100 million in introducer commissions from 2013 to 2016 to an array of people who were from all walks of life, as well as clubs and other bodies. 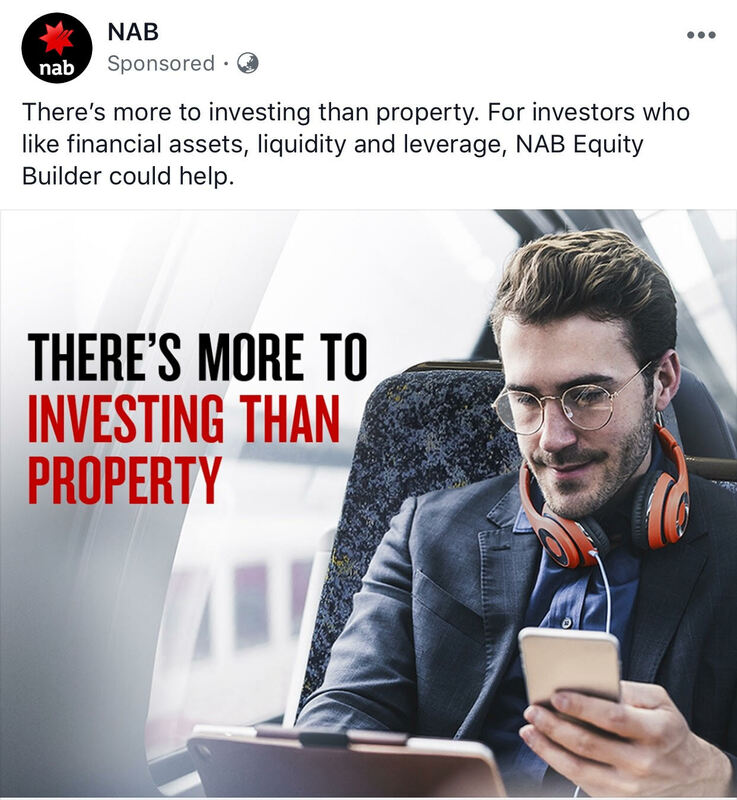 At that time, NAB had about 8,000 introducers on its books, and an estimated $24 billion of loans were made during the three years – so it isn’t small beer. Push it, mate. Push it! No pain, no gain! This is unfair to sporting clubs, gym instructors, religious organizations etc, mortgage brokers nobbled the Government. I expect a counterattack by affected lobby groups. I’m glad someone sees sense. This will reduce competition and increase rates for ordinary families. I’m pretty sure. Yes 6 more months of a mortgage with your gym membership. Get in Quick. Based on the size of the window, I’d say he’s on a train. Suit jacket with no tie. Coloured hair tips with massive amounts of product to hold the giant hair style in place. Stubble beard carefully trimmed to make it look like stubble . Pretentious big wire rimmed granny glasses. Massively expensive headphones. Looking at phone and laptop at the same time. Self-satisfied Mona Lisa like smirk. If ever the wonderful German word “backpfeifengesicht” meaning “a face in need of a slap” was called for, this is it. so NAB lost 8000 pimps. Accusing pimps of working for a bank is being very unkind to pimps. Back to pushing steroids, meatheads. NAB. More Give. Piss Take. I don’t know about you guys but this RE down turn has (for me) resulted in a huge upturn in would be investors wanting real down to earth advice on “investing” in sectors other than Real Estate. Five years ago I’d get laughed out of every room in Sydney if I suggested any Investment that wasn’t somehow an RE play. Today it’s the opposite, I have cashed-up individuals actually looking for ways to productively deploy an ever growing pool of capital, that’s just sitting in deposit bank accounts or low yielding government bonds. The biggest problem is that this is not patient capital, it’s more like Hot-Money, which makes me very reluctant to even take a penny of what’s on offer, because I know they’ll all want it back at almost zero notice and probably at a time that’s decidedly inconvenient for me (as in when the RE game turns positive). I’m not at all sure how anyone will deploy this available capital productively but it’ll be an interesting space to watch as every out of work RE spruiker suddenly becomes an expert on value investing with their own exclusive line of customized opportunities ideally suited to your investment risk and investing style. What can one say except: A fool and their money are soon parted. 1. Those who made some money by selling their IPs in the last 2 years and are now itching to get back in saying “this is the bottom and we will never see so low prices again”. I think this the group of people that fit in the category: A fool and their money are soon parted. 2. Those that decided to hold on to their IPs and are saying (unconvincingly and lot of fear in their eyes) ” bottom’s in and prices are turning”. But it is easy to see that they wished they sold 12 months ago. These people wills tart to exit once falls push passed 15% as FONGO will force their hands. No one mentions anything outside RE though. Everyone still thinks RE is the only game in town. Anyway, I think Lithium and rare Earths minerals will be the next big thing. Now that dust settled around the speculation that pushed some lithium stocks to the moon and back. WES is taking over LYC and pushed share prices of ALK and ARU up. Both these companies hold world class deposits in Australia which is very important strategically as China controls the global market. Once their share prices go back down I am seriously considering to buy some shares in both. It appears EU is about to start producing EVs and with that the demand for battery minerals will skyrocket. You have lot more smarts than me to research this segment and if you have some time it might be worth to have a look. Pretty high political risk with LYC production facility in Malaysia. Might be priced in already but agree it’s worth a speccy play. This is not Advice etc…..
Rare Earths and Lithium are both good plays both with a great future but to be honest I’m over allocated on both plays so if anything it’s time for me to take some profits off the table. It always hurts to do this but it’s how you free up capital for your next big bet. Getting rid of my Lithium exploration shares, only to consolidate a fragmented situation. Have the forms but haven’t got around to it yet. Thanks for the reminder. boom – I was actually thinking about your situation when I was typing my view. I remember you mentioned that you were exiting at 5c. Hope recent events would have put some fire under the share price of the stock you hold and help you minimise the damage or even bring you some profit. Actually I’m looking at a couple of plays that’ll pay off if the Australian Lithium miners decide to do a little more downstream processing in Australia. Personally I think this is a foolish play for them because there is no real benefit to this so called vertical integration, it’s just a case of wanting to become your best customers biggest competitor…that’s rarely a good business strategy and it’s one that has some builtin revenue hickups. I’m a strong believer in cashflow analysis and in linearizing cashflow especially in high growth opportunities, so having these companies pursue strategies that are guaranteed to result in lumpy cash flow is not high on my priority list. And have 3 banks only ? FWIW their Equity Builder is a pretty neat product. It’s basically a margin loan without margin calls and a lower IR because it is P&I and limited to a handful of diversified funds. Pretty safe way for boring buy and hold investors to get some leverage. LOL – just got a call from RE agent we spoke to about 12 months ago when inspecting a house. He was asking if we needed any help. Told him that we will be in the market once prices bottom but I don’t think that would be this year. Asked him to keep my details and stay in touch. Haha, yeah got a few random calls from those. To be honest most Real Estate agents are useless at cold calling. The good ones remember you, what you’re after and your budget.